Chase lives with and is loved by Dana. His father is the magnificent Sup. Grand. Ch. Callahan Vom Ritter Burkhart "Callahan" & his mother is Montreaux Made To Measure "Mieka". He is a medium sized, compact boy with a beautiful, plush coat and a lovely head. He has wonderful orthopedic scores and now has his Australian title. In 2013 Chase became a father for the first time to a litter of 10. 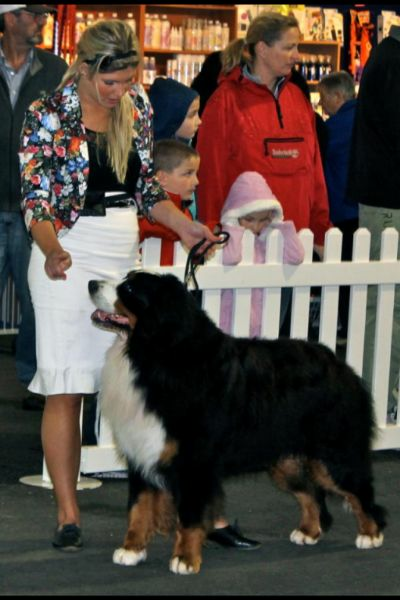 His son Montreaux Captain Jack, "Max" owned & loved by Kay & Emma Schiesser is out strutting his stuff in the show ring.